Need to stretch your iPhone/iPad app budget? 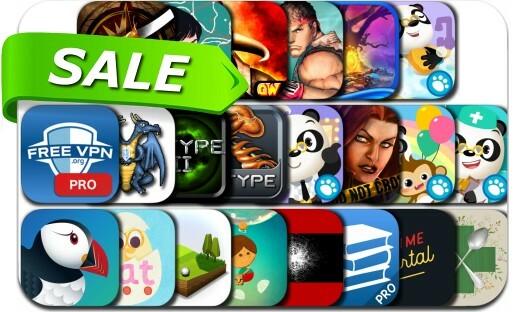 Here are 22 great iPhone, iPad and iPod touch apps that just went on sale. This app deal alert includes Street Fighter IV CE, Lumino City, R.TYPE, Colonial Conquest, Fear for Sale: The House on Black River , R-TYPE II, Cook + Cure | Food is Medicine, Time Portal: Historical Photos, Doom & Destiny Advanced, Cognition Episode 1 and many others. Play the USA, UK, Germany, France, Russia or Japan and shape the world during the colonization of the Victorian Era. Use spies, economic aid, fortification, build your troops and navy, and conquer the world. Chose between three scenarios, each with their own starting conditions and shape the world in the wake of the 20th century.